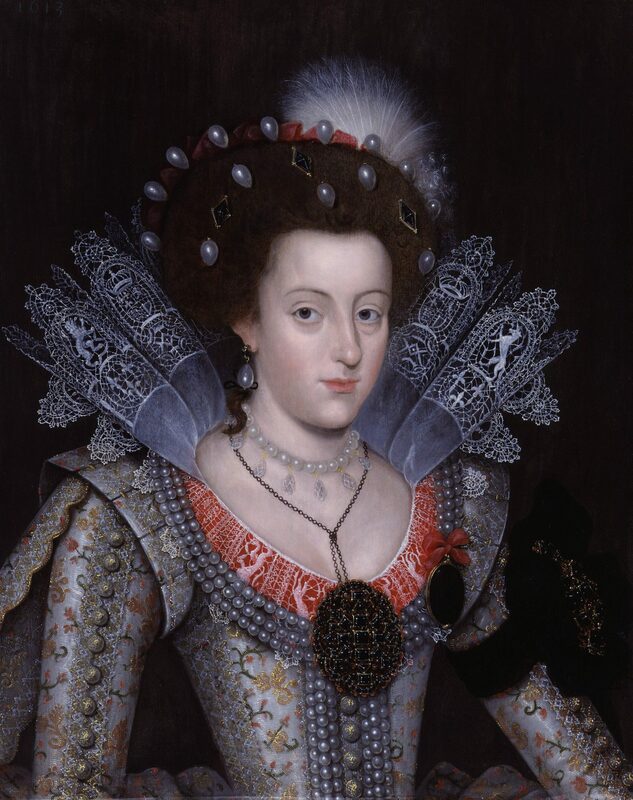 In 1596, Elizabeth Stuart, the eldest daughter of King James VI Scotland and Anne of Denmark, was born. In 1603 the old Queen Elizabeth I of England passed away without leaving an heir. The throne passed to James who was crowned James I of England. 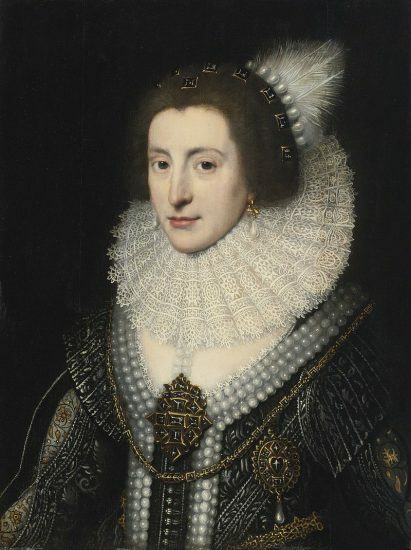 As the daughter of the King of England, Elizabeth Stuart was in the public eye from a young age, and as a granddaughter of Mary Queen of Scots and god-daughter of Elizabeth I, she was well-loved in many circles. When Guy Fawkes attempted to blow up the king and his parliament in 1605, the plan was to replace him with Elizabeth as queen. Despite Europe being forever at war, James I aimed to be a peaceful king and the self-styled Rex Pacificus planned to use dynastic marriages to keep peace with other nations, rather than waging war. From a string of suitors, in 1613 Elizabeth was married to Frederick V Elector Palatine; one of the seven electors who elected the Holy Roman Emperor. Frederick also happened to be the head of the Protestant Union who aimed to defend Protestants against the Catholic Habsburgs. James had chosen an ideal match for his daughter, and it was love at first sight upon their meeting. The wedding of Elizabeth and Frederick took place on Valentine’s Day and was one of the biggest of the Seventeenth Century; the celebrations went on for months on end and carried on throughout the newlywed’s journey to Frederick’s ancestral lands. Elizabeth and Frederick lived in wedded bliss for many years in the beautiful Palatinate town of Heidelberg, in modern-day Germany. A number of children were born there in quick succession; Frederick Henry, Charles Louis and Elisabeth were all born within six years. Elizabeth also had a large menagerie of animals at the castle and extensive gardens which were dubbed ‘the eighth wonder of the world’. In 1618, the Protestant subjects of Bohemia (the area including and surrounding Prague) were in revolt. Ferdinand of Styria was to become King of Bohemia, which was an electoral kingdom. Ferdinand was a staunch Catholic who was determined to remove the rights of the Protestants in the region, which had been protected in the past. Despite the revolt and three members of the reigning Emperor’s retinue being thrown from the window of Prague castle, in 1619 Ferdinand ascended the throne of Bohemia and also took the title of Holy Roman Emperor. Within a matter of months, the Bohemians had overthrown Ferdinand and elected Frederick V, Elizabeth’s husband, as their king. Frederick accepted his election with caution and against the wishes of James I who believed that his actions were a usurpation of the true authority. James said that Bohemia was only an elective kingdom if there was no heir to it, so by James’s thinking, Frederick had deposed a rightful king, an action which, as a king himself, James could not condone. All of London was overjoyed when hearing that their beloved princess Elizabeth was to be a queen and bonfires lined the streets before the coronation. The couple’s procession into Prague resembled a Roman triumph, and they were followed by eight hundred horses and hundreds of carriages. Frederick was crowned King of Bohemia at St Vitus Cathedral on 4th of November 1619 and Elizabeth was crowned Queen the next day. A son named Rupert was soon born to the new King and Queen. After just a few months of being Queen, Elizabeth’s happiness began to unravel, as Ferdinand aimed to regain his crown. Frederick had the support of the Protestant Princes of Orange-Nassau as well as the other Princes of the Protestant Union and the Bohemian rebels, but despite initially holding off the Imperial forces, he was later defeated at The Battle of White Mountain. The battle was one of the factors which led to the start of the Thirty Years War, a devastating war of religion which tore the continent apart. By 8th November 1620, Elizabeth and Frederick were fleeing Prague. The pregnant Elizabeth sought refuge in many surrounding towns but those unwilling to offend the Emperor Ferdinand II could not help her. Like the Virgin Mary, Elizabeth travelled from town to town to find somewhere for her lying-in, she eventually gave birth to her son Maurice in a cold, crumbling castle owned by a friend. Elizabeth’s son was named after his great-uncle Maurice the Prince of Orange because like his namesake he would need to be a fighter. Elizabeth’s life as queen was now over and even the Palatinate lands had been taken by Spanish forces; Frederick and Elizabeth were now ‘the most notorious couple of the seventeenth century’ in exile and looking for a home. The saviour of the winter family was the United Provinces. Connected by blood to Frederick and enemies to the Habsburgs, the Princes of Orange provided a home at The Hague for the family as well as financial support. Even with this money and a pension from her father James I, Elizabeth found herself deep in debt. Still clinging on to her titles of Queen and Electress and also as the Heiress Presumptive to the British throne, Elizabeth had to entertain a constant stream of ambassadors and nobles. Elizabeth’s daughter Sophia would remark in her memoirs that the family would have ‘nothing to devour but diamonds and pearls’ but were still expected to host huge balls and accommodate visitors. Elizabeth’s time as an exile was filled by her constant letter writing; to members of English Parliament, ambassadors, her brother Charles I and many others. Elizabeth needed to make sure she and her ‘unfortunate children’ were remembered, especially when Frederick died in 1632. Her life was otherwise spent raising children; Elizabeth had given birth to thirteen children by the time of Frederick’s death. During her time as a queen in exile, Elizabeth saw a great amount of change happening around her. Her father died and was succeeded by her brother Charles I; Elizabeth could do nothing for her brother who had always tried his utmost to fund her cause and was heartbroken after hearing of his execution. The Winter Queen then found her circumstances reduced even further, during the interregnum; her pension from England stopped, and her debts grew, she pawned anything of value and wore clothes full of holes. Still, she held on to her dignity and the love of everyone who met her. Elizabeth was known for her kind nature and would never refuse a request; she was known as the Queen of Hearts. In 1660 Elizabeth’s luck finally changed: her nephew Charles whom she had cared for in exile had been restored to the throne as Charles II of England. After over forty years at The Hague, Elizabeth returned to England. Elizabeth spent almost a year living happily in England surrounded by friends. 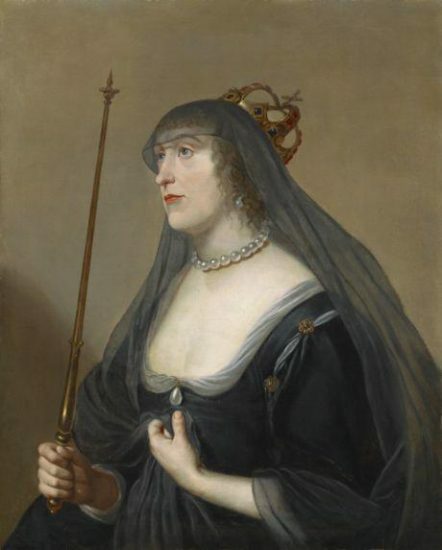 The great lady died of Pneumonia on 13th February 1662 with her son Rupert by her side and was buried in Westminster Abbey. Bergen, E, Memoirs of Elizabeth Stuart, queen of Bohemia, daughter of King James the First, 1825. Coward, B, The Stuart age: England 1603-1714. Duggan, J.N, Sophia of Hanover: from Winter Princess to Heiress of Great Britain, 1630- 1714, 2010. Oman, C, Elizabeth of Bohemia, 1964.